Real estate is complicated in many ways. Real estate is complicated legally. There are laws upon laws in the world of real estate. Real estate is complicated to buy. All the disclosure, agreements and contracts add up to pounds of paper. Real estate is complicated by its structures. Buildings are complicated to design. Buildings are complicated to maintain. Real estate is hard to buy and sell. With all these complications real estate terms are many and somewhat counterintuitive. Below is a small list of terms; many are from the State of California, Department of Real Estate. CAPITALIZATION RATE — The rate of interest which is considered a reasonable return on the investment, and used in the process of determining value based upon net income. It may also be described as the yield rate that is necessary to attract the money of the average investor to a particular kind of investment. In the case of land improvements which depreciate, to this yield rate is added a factor to take into consideration the annual amortization factor necessary to recapture the initial investment in improvements. This amortization factor can be determined in various ways — (1) straight-line depreciation method, (2) Inwood Tables and (3) Hoskold Tables. DEED OF TRUST — Just as with a mortgage this is a legal document by which a borrower pledges certain real property or collateral as guarantee for the repayment of a loan. However, it differs from the mortgage in a number of important respects. For example, instead of there being two parties to the transaction there are three. There is the borrower who signs the trust deed and who is called the trustor. There is the third, neutral party, to whom trustor deeds the property as security for the payment of the debt, who is called the trustee. And, finally, there is the lender who is called the beneficiary, the one who benefits from the pledge agreement in that in the event of a default the trustee can sell the property and transfer the money obtained at the sale to lender as payment of the debt. GRADUATED PAYMENT MORTGAGE — Providing for partially deferred payments of principal at start of loan. (There are a variety of plans.) Usually after the first five years of the loan term the principal and interest payment are substantially higher, to make up principal portion of payments lost at the beginning of the loan. JUNIOR MORTGAGE — A mortgage recorded subsequently to another mortgage on the same property or made subordinate by agreement to a later-recorded mortgage. LAND CONTRACT — A contract used in a sale of real property whereby the seller retains title to the property until all or a prescribed part of the purchase price has been paid. Also commonly called a conditional sales contract, installment sales contract or real property sales contract. LOAN CLOSING — When all conditions have been met, the loan officer authorizes the recording of the trust deed or mortgage. The disbursal procedure of funds is similar to the closing of a real estate sales escrow.he borrower can expect to receive less than the amount of the loan, as title, recording, service, and other fees may be withheld, or can expect to deposit the cost of these items into the loan escrow. This process is sometimes called “funding” the loan. LOAN-TO-VALUE RATI0 — The percentage of a property’s value that a lender can or may loan to a borrower. For example, if the ratio is 80% this means that a lender may loan 80% of the property’s appraised value to a borrower. MEDIATION CLAUSE — A clause in a contract requiring mediation in the event of a dispute. MORTGAGEE — One to whom a mortgagor gives a mortgage to secure a loan or performance of an obligation; a lender or creditor. MULTIPLE LISTING SERVICE — An association of real estate agents providing for a pooling of listings and the sharing of commissions on a specified basis..
SALE-LEASEBACK-BUY-BACK — A sale and leaseback transaction in which the leaseholder has the option to buy back the original property after a specified period of time. SELLER’S MARKET — The market condition which exists when a seller is in a more commanding position as to price and terms because demand exceeds supply. TAKE-OUT LOAN — The loan arranged by the owner or builder developer for a buyer. The construction loan made for construction of the improvements is usually paid in full from the proceeds of this more permanent mortgage loan. TITLE — Indicates “fee’’ position of lawful ownership and right to property. “Bundle of Rights” possessed by an owner. Combination of all elements constituting proof of ownership. TITLE INSURANCE — Insurance to protect a real property owner or lender up to a specified amount against certain types of loss, e.g., defective or unmarketable title. TITLE REPORT — A report which discloses condition of the title, made by a title company preliminary to issuance of title insurance policy. TRUST DEED — Just as with a mortgage this is a legal document by which a borrower pledges certain real property or collateral as guarantee for the repayment of a loan. However, it differs from the mortgage in a number of important respects. For example, instead of there being two parties to the transaction there are three. There is the borrower who signs the trust deed and who is called the trustor. There is the third, neutral party, to whom trustor deeds the property as security for the payment of the debt, who is called the trustee. And, finally, there is the lender who is called the beneficiary, the one who benefits from the pledge agreement in that in the event of a default the trustee can sell the property and transfer the money obtained at the sale to lender as payment of the debt. TRUSTEE — One who holds property in trust for another to secure the performance of an obligation. Third party under a deed of trust. TRUSTOR — One who borrows money from a trust deed lender, then deeds the real property securing the loan to a trustee to be held as security until trustor has performed the obligation to the lender under terms of a deed of trust. 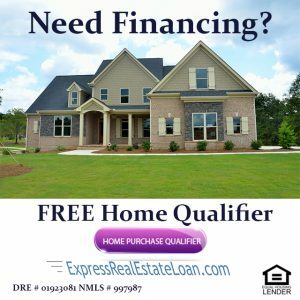 VA LOAN — A loan made to qualified veterans for the purchase of real property wherein the Department of Veteran’s Affairs guarantees the lender payment of the mortgage. WARRANTY DEED — A deed used to convey real property which contains warranties of title and quiet possession, and the grantor thus agrees to defend the premises against the lawful claims of third persons. It is commonly used in many states but in others the grant deed has supplanted it due to the modern practice of securing title insurance policies which have reduced the importance of express and implied warranty in deeds. WRAP AROUND MORTGAGE — A financing device whereby a lender assumes payments on existing trust deeds of a borrower and takes from the borrower a junior trust deed with a face value in an amount equal to the amount outstanding on the old trust deeds and the additional amount of money borrowed. X — An individual who cannot write may execute a legal document by affixing an “X” (his/her mark) where the signature normally goes. Beneath the mark a witness then writes the person’s name and signs his or her own name as witness. ZONING — Act of city or county authorities specifying type of use to which property may be put in specific areas.